Enjoy learning about fiber arts & crafts, watch Navajo-Churro sheep and wool shows, visit vendors booths, hearing speakers, and great food and more. Contact us to request program and travel details. 10 am to 5 pm: Participate in our all day “Spin-Off” featuring fiber arts and crafts including weaving, felting, spinning, dying, carding and other aspects of wool. Bring your own project or learn from hands-on demonstrations provided by Dine Be Iina, Navajo Lifeways and other fiber arts enthusiasts. 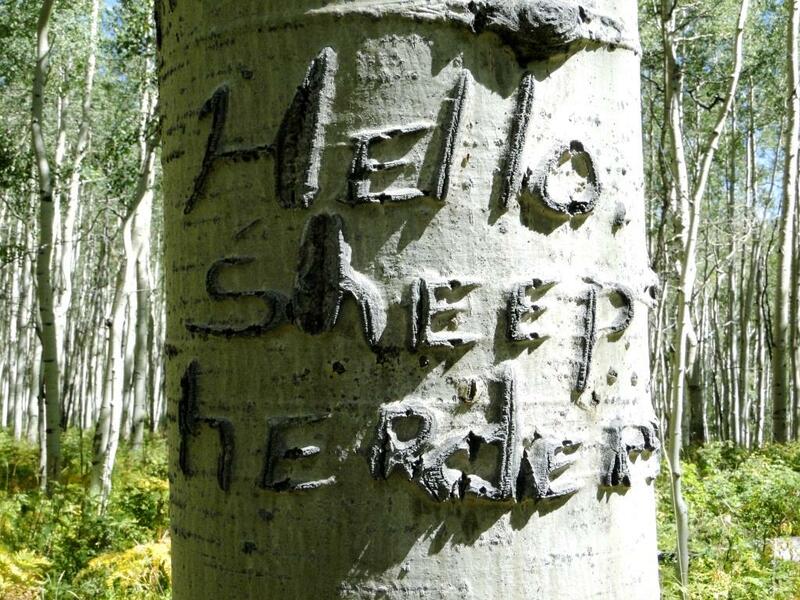 Learn about Navajo and Hispanic perspectives and history relation to sheep. 7 pm to 9 pm: Learn about Navajo-Churro Sheep. Dr. Lyle McNeal, Carnegie Professor, Livestock & Range Specialist at College of Agriculture & Applied Sciences, Utah State University. As founder of the Navajo Sheep Project he will speak about the significance of Navajo-Churro Sheep as a land race and his 40 years of experience in helping save this breed from extinction. 10:30 am “Weavings of the Four Corners: From Cotton to Wool.” Travel through time with Navajo fiber artist Zefren Anderson of Zefren M-Weavings, as he explores the history of fiber use in our region. 1:00 pm Juried Navajo-Churro Fleece Show and Clinic. First, second and third place awards for each class , plus champion ram and ewe and best of show awards. E-mail for details. 3:00 pm Mini-workshops, demonstrations, and round-table discussions. Shop vendors booths &the N-CSA Silent Auction. 5:30 pm enjoy dinner featuring Navajo-Churro Lamb. YOU MUST RSVP. Cost is $15 per plate for adults, $8.00 for children. Pay at door. Contact us to RSVP. 7:00 pm KEYNOTE SPEAKER Dr. Alison Martin PhD, Executive Director of the Livestock Breeds Conservancy, will discuss the work of her organization and significance conserving endangered livestock breeds. Anyone interested in heritage horses, poultry, rabbits, sheep, goats, cattle & pigs will enjoy this presentation. 9:00 am Dr. Allison Alison Martin, Executive Director of Livestock Breeds Conservancy will present on Genetics and Breeding Practices for livestock conservation with focus on sheep. 12: 00 – 3:00 pm Enjoy watching our Juried Navajo-Churro Sheep Show. First, second and third place awards for each class , plus champion ram and ewe and best of show awards. E-mail for details. 3:00 pm The N-CSA general silent auction ends. You must be present.3:30 pm Sheep Registration Clinic. Breeders will have sheep inspected. Everyone will learn about breed characteristics and qualities. 5:00 pm Closing comments. Vendors booths close. Sunday Sept. 23rd—Enjoy an Open Gate farm tour.